"That is why I say: The painting creates its own world. 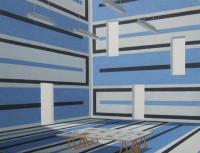 The place it proposes, the space it depicts, is then the appropriate space for it to appear in. The painting has its place in the painting. It reveals itself in its own condition. 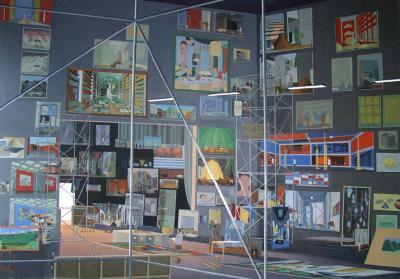 The painting is depicted in the painting. It emphasises in itself how it is to be displayed. In what manner, therefore, it should appear before our eyes; this painting proposes its own “coming into the world”. It depicts its own being shown. The painting’s appearance and its appearing are one and the same today." 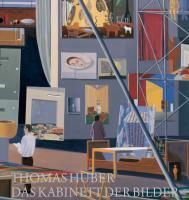 (Cabinet of Paintings), Aargauer Kunsthaus, Aarau, Beat Wismer (ed. ),Publisher: Lars Müller Publishers, Baden, 2004, 288 pages, 296 colour illustrations, format: 23.5 x 20 cm. The Dutch edition has an appendix in Dutch.